PayPal asks husband of the dead woman to pay her debts. The American company was notified about 37-year-old Lindsay Durdle’s death due to cancer, by her husband. 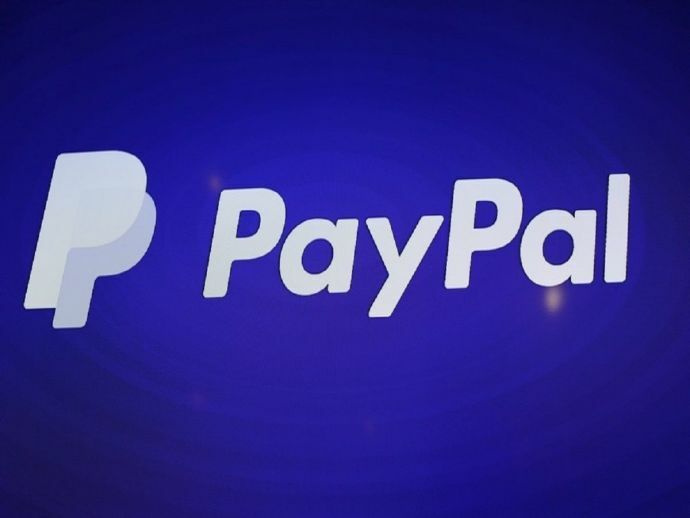 The death of the British woman evidently, was a breach of PayPal’s account holder policies. Losing her battle to cancer, Lindsay passed away on the 31st of May. Her husband, Howard notified PayPal about her death. Following which, the American company demanded repayment of £3,200 that she owed. 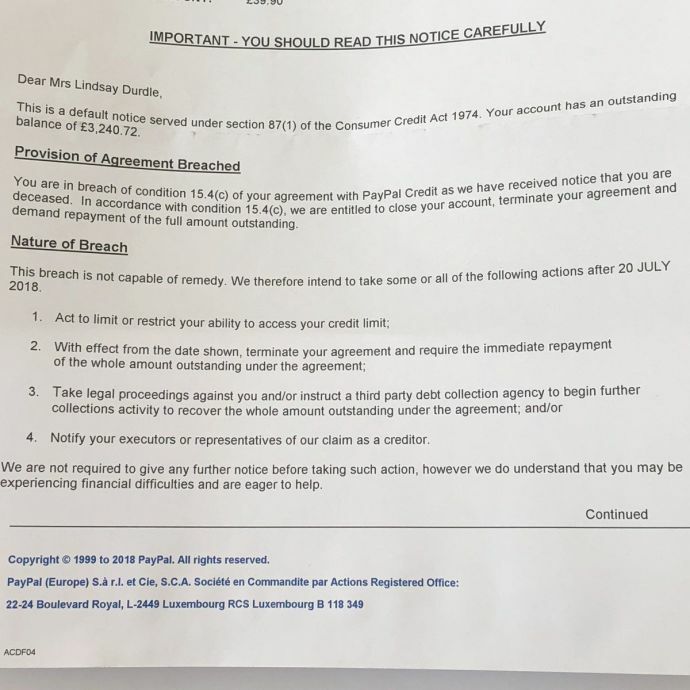 In a letter to Mrs Durdle, PayPal said, “You are in breach of condition 15.4(c) of your agreement with PayPal Credit as we have received notice that you are deceased.” The letter came in after Mr Durdle provided copies of his dead wife’s death certificate and her will, along with his id. PayPal in its statement clarified that the letter to Mrs Durdle was caused due to a bug, a bad letter template, or a human error. The company reassured that Mrs Lindsay Durdle debts had been cleared and an inquiry has been set to investigate the matter. PayPal have been in touch, have apologised sincerely and have promised to change whatever they need to internally to ensure this can’t happen again. I just hope more orgs can apply empathy and common sense to avoid hurting the recently bereaved.